If Tesla hadn’t invented and researched everything he did in his time, our technology today would be considerably worse. But is there something more to Tesla? Did he in fact have contact with Aliens as he publicly proclaimed? Tesla was a Genius, and his inventions and ideas had no boundaries. 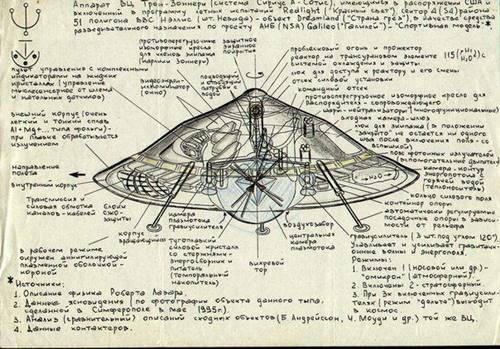 Over a hundred years ago, during the first decade of the twentieth century, Tesla filed a request to patent a peculiar aircraft, which he called “the world’s first flying saucer,” the worlds first man-made UFO. 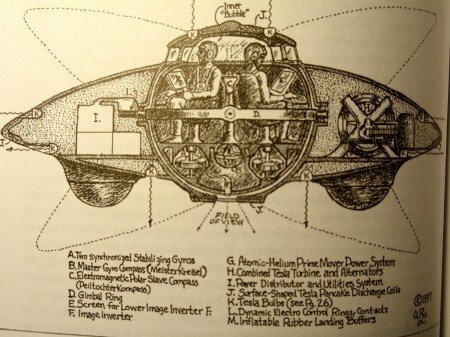 The methods used in the design of the flying saucer matched the descriptions of those who claimed to have seen a from the UFO inside: with a discoidal capacitor with sufficient size to provide enough thrust to fly, while other small capacitors allowed to control the direction of the flying saucer, to which he added a gyroscopic stabilization system and an electric “drive” control. And if all of that isn’t enough, Tesla had more; the interior of the ship was equipped with flat screens and external video cameras for the pilot’s blind spots. The lack of funding led to the abandonment of the development of the towers, so, eventually the ship also fell into darkness, and Tesla’s UFO or rather IFO was never made. Now if Tesla’s ideas were insane as some had categorized them, why would the United States Secret Service seize the patents for reasons of National Security? Hmmm, lets think about it for a minute. Previous Article← The Crimean Pyramids, built before dinosaurs roamed the Earth?